A third win of the campaign for Peter Taplin & Sue Bunney's KOEMAN who registered his third win of the campaign with victory in the Class 3 London Middle Distance Series Qualifier under David Egan last night. KOEMAN has always been a good looking individual with plenty of scope and he's been very much on an upward curve since his first victory at Salisbury back in July. He's certainly been kept busy and is very consistent with five placed efforts to his credit as well and he's just got better as he's been stepped up in trip. 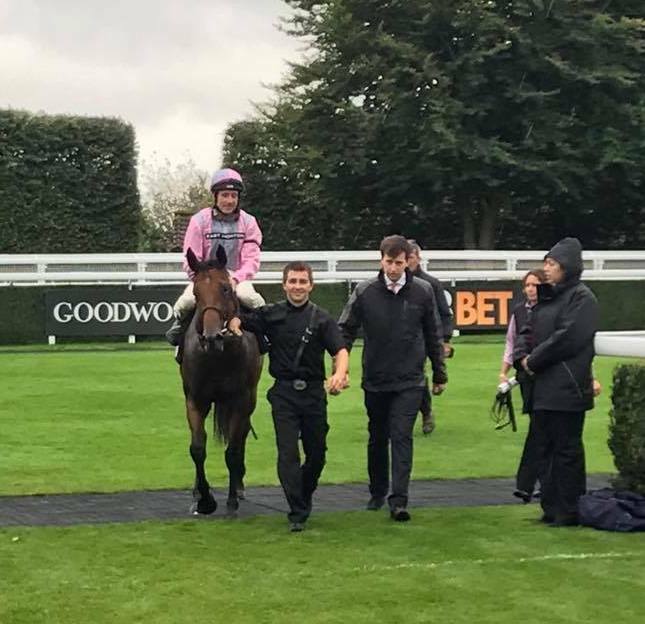 He was third at Kempton only a fortnight ago in 0-80 that hinted at even more to come and Mick couldn't be happier for the horse or his owners as he plots for bigger and better things to come. "Chuffed for Pete and Sue who follow this lad everywhere. He took a while to get his head in front and since then he's thrived. He's always shown plenty of ability but he's a big framed unit who I feel is only now coming in to his own. "We've got him in the Old Rowley Cup in October and although that's a big ask I can't see him getting hammered in the ratings for last night and whilst that's a quality field, off of a lowish weight I'd be looking forward to taking them on. "That said he's now qualified for the London series and he does like it round Kempton so that'll come in to the equation as well." Theresa Burn's APPLE ANNI leaves the winners enclosure at Beverley yesterday afternoon. A very pleasing performance from Theresa Burns's APPLE ANNI saw the two year old daughter of Fast Company streak clear in the closing stages under John Egan to take the Novice Auction Stakes over the extended seven furlongs yesterday afternoon. Having finished third on her racecourse debut less than three weeks to go it was interesting to see how much she'd improved for her introduction and she had a convenient yardstick in Vera Drake, who finished a neck on front of her that afternoon. Mick was convinced that APPLE ANNI had benefitted considerably for her first outing and that proved to be very much the case as, in the soft ground and in behind a furious early pace, John bided his time to produce an eyecatching flourish from a diminutive but very athletic two year old who went clear of the field with Vera Drake following her home nearly three lengths in arrears. Mick was delighted that the long trip north was justified and has a plan for APPLE ANNI. "She's always been willing to please this filly and she qualifies for some valuable sales races in Ireland which we'll have to have a look at now. Fair play to Rathasker Stud who bred her and she's typical of their produce in terms of her attitude and we know the family very well. "Most notably her half brother Wovoka who was a grand servant and like him APPLE ANNI clearly relishes soft ground. That won't be a drawback as Autumn sets in, especially in Ireland, so we'll look at her obvious option at Naas." A very pleasing moment for owner breeders Jon & Julia Aisbitt who celebrated their 50th winner sent out from West Ilsley. One of those 50 winners includes Stella Point, the dam of CARAVELA who recorded her first career victory at the third attempt under Joe Fanning at Thirsk on Saturday. The three year old daughter of Henrythenavigator has needed plenty of time to come to the fore and only made her debut in June but she's a progressive filly with plenty of ability and very much a work in progress. That's been very much in evidence on all three starts where she has been a little slow away on each occasion but doing her best work at the finish. 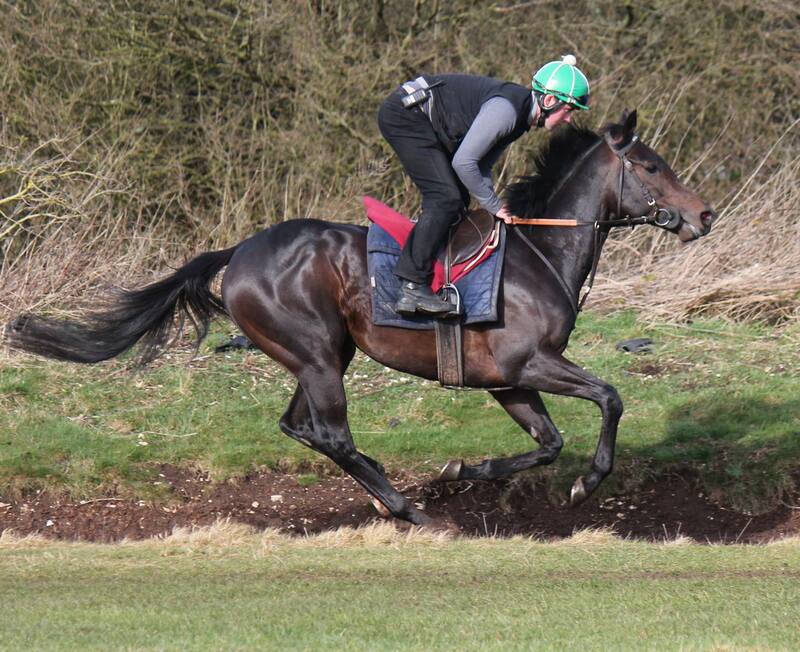 She was third at Goodwood on debut and second at Pontefract last month. In Saturday's Class 4 fillies' maiden she was again in behind before finishing off the mile contest full of running and accounting for the 73 rated Ambrosia inside the distance to record a length success. 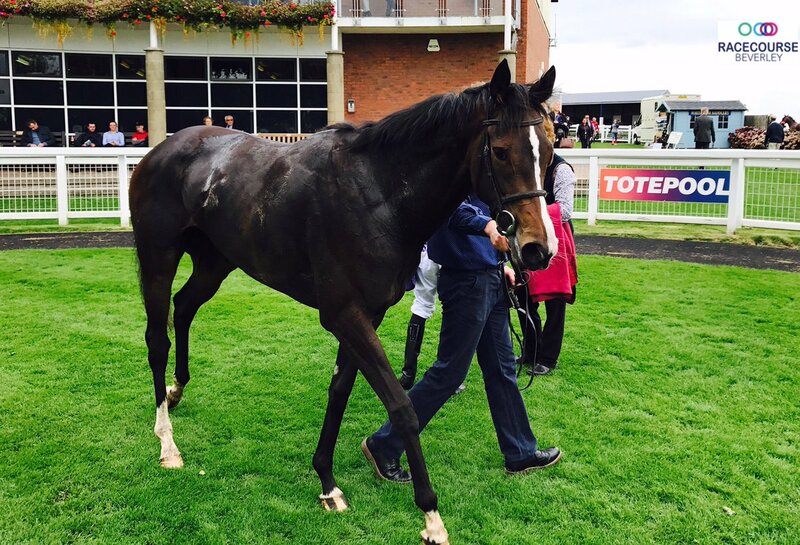 "That's John & Julia's 50th winner we've sent out and now CARAVELA has followed her mum by winning for us. They have been great supporters for a good ten years now. "To do it with a homebred is particularly satisfying and it was only a matter of time before CARAVELA got her head in front because she's got plenty of ability and has just improved and improved since her first run at Goodwood. "She's similar to her dam in that she's a very light framed individual who we couldn't get going as a two year old but that's no crime and we gave her plenty of time. "Ambrosia is a decent yardstick with a rating of 73 and we'll see what the handicapper gives us but, being owner breeders, I'm sure Jon & Julia will want to see how good CARAVELA can be. It's all down to how much she can improve because obviously we'd like a bit of black type to improve the pedigree." 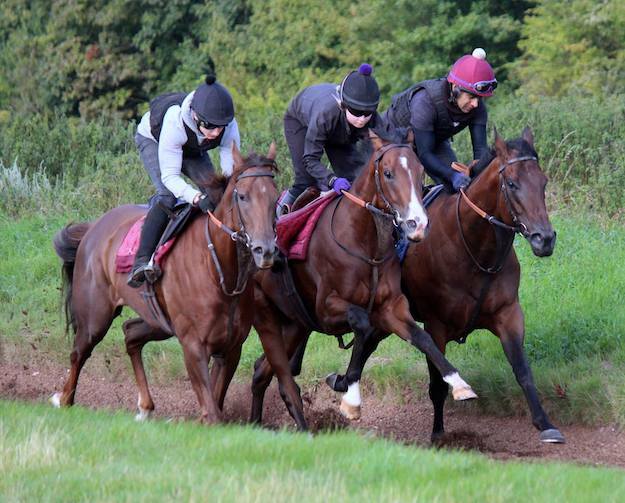 A good run of form from the babies of late after TRUMPS UP, DIAMOND DOUGAL & NEOLA have all scored in the past few days. NEOLA stole the headlines this afternoon at Goodwood for her owner-breeders the Bastian family in the valuable six furlong nursery in the hands of John Egan. She's always been one of our smartest fillies and it's been a frustrating time trying to get her back in the winner's enclosure since she broke her maiden in impressive style at Nottingham in May. She followed that up with a fine effort at York, finishing runner up to Main Desire in the Listed Marygate Fillies' Stakes before an admirable 5th in the Queen Mary at Royal Ascot. She's run consistently ever since, often in lofty company but, as a result, it's been tricky trying to get her back on a winning track. She did that convincingly off of top weight this afternoon though, taking the Class 2 six furlong Goodwood nursery in fine style to the delight of the Bastian clan and their trainer. "That was great to see and this filly has been on the go for an awful long time for a two year old but she's showing no signs of stopping. She's picked up twelve grand today and won in convincing fashion when you consider that she's lined up at Ascot, the July Course and the Lowther this year against the very best. "We had her mother though and she was not only talented but as tough as they come, so she's certainly inherited that trait. 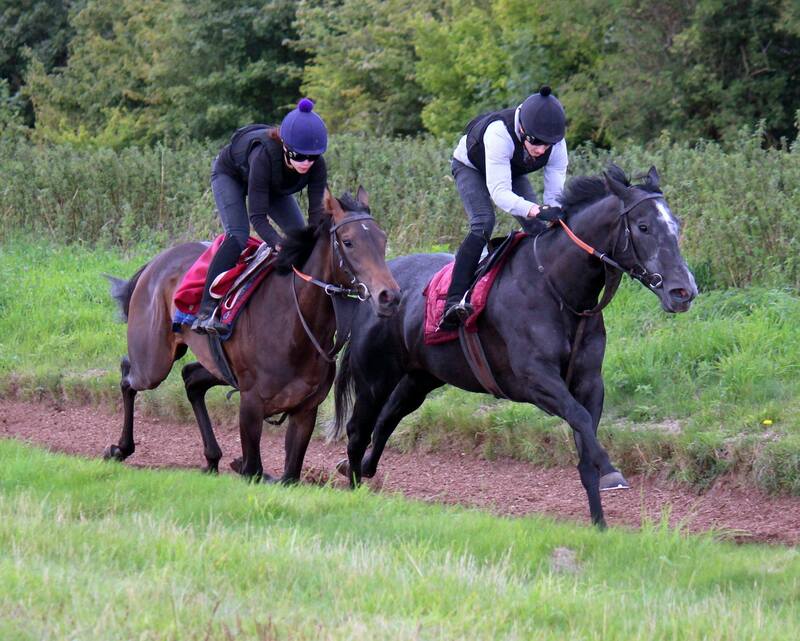 You'd like to think there's more black type to come but we'll let NEOLA tell us when and where we go next." 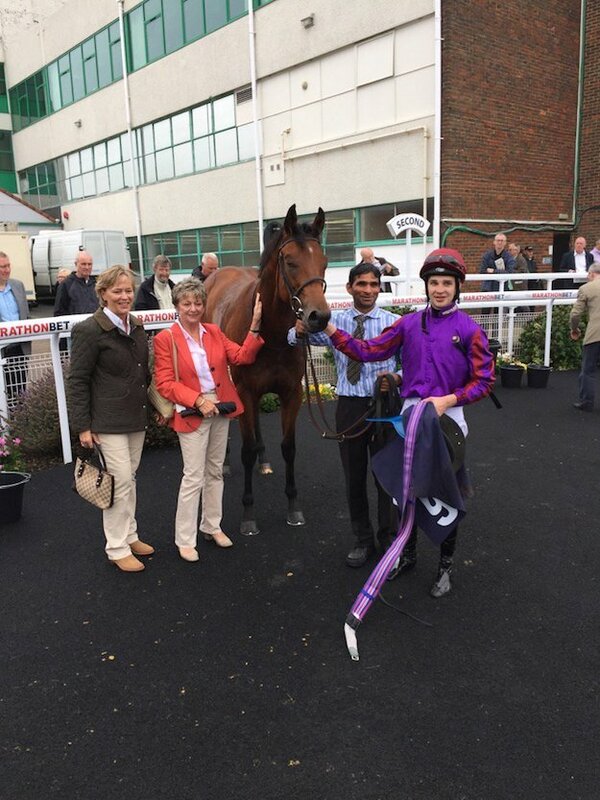 Yesterday at Brighton it was the turn of Insignia Racing's DIAMOND DOUGAL to break his maiden in the Class 5 six furlong contest under Charlie Bishop. The son of Zebedee hasn't enjoyed the best of luck in his first year on the track following a rather disappointing debut for a colt who showed us plenty later on in the year. Indeed, he was one of our shining lights early on but a third placed effort at Bath back in April saw him return very jarred up - so much so that he didn't see the track again until August. And that was after seeing Charlie the vet who transformed him from colt to gelding. So DIAMOND DOUGAL's career definitely lies in racing rather than breeding but Mick is very optimistic that there is far more to come having had to resort to Plan B after losing momentum in the spring. "Nothing went right for this lad the moment we ran him at Bath and we've had a rebuilding job on our hands ever since. That was a real shame because he always went very well at home and he was ready to go. "That said, we had to take our medicine and wait for him and since he's come good, he's one of those types you know is ahead of the handicapper. "We got him back on track in quick succession in August with three runs and he's come on in leaps and bounds both physically and mentally. His form doesn't look that sparkling I know but when a baby has an early setback it can often be a long road to instil a bit of confidence in them and this lad is a case in point. "He won cosily off of a mark of 64 today and I'd like to think he's a bit better than that." The final word though must go to David Fitzgerald's TRUMPS UP who made it two wins from two outings under John Egan when he took the novice auction race at Thirsk last Friday. There was no messing around on considerably quicker ground than TRUMPS UP won on first time out at Leicester as Egan always had him handy, safe in the knowledge that he had a partner who would keep on finding for him. That certainly proved to be the case for the son of Cape Blanco who held off the 75 rated French Flyer with a little bit in hand. All of that bodes well for the future - Mick's a fan of TRUMPS UP. "Fair play to the horse and fair play to David who bought him and sent him to us. He only paid three grand and that looks like a shrewd investment because he's a topper of a horse. He came to us fairly late but we took our time with him and when he settled in he just got better and better. "I don't know how good he can be but he's won on soft ground and good to firm ground now and taken the step up from seven to a mile in his stride. "I'm not saying we've had a stellar year with our two year olds but they seem to have a bit more about them compared to last time around. We're very short on quality in the three year old ranks as a result and it'd be good if this years babies keep on coming through because there's some good days ahead."